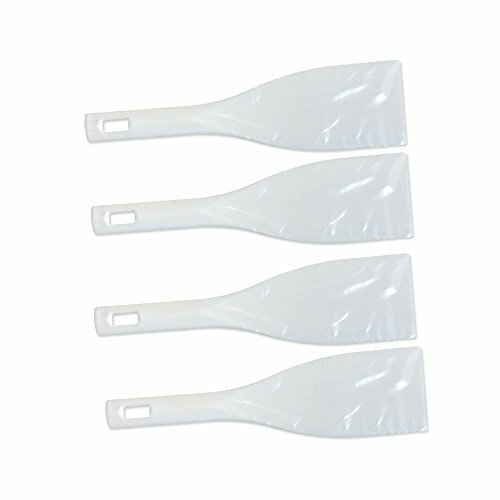 Plastic ink scraper (top grade & solvent resistance) is an auxiliary material for Screen Printing, mainly applied to ink recovery and collecting, the ink scraper head & edge are very smooth, so it have no damage to mesh and can save ink. 1.This ink scraper is made of polypropylene, tough and tensile, neither too hard nor too soft, resistant to ink and paint. 2.Round angle design of head make sure it has no damage to mesh. 3.Surface is very smooth, easy to clean without any ink left. This ink scraper is made of polypropylene, tough and tensile, neither too hard nor too soft, resistant to ink and paint. Round angle design of head make sure it has no damage to mesh. Surface is very smooth, easy to clean without any ink left.